Alcatel revamped its smartphone lineup ahead of the opening day of Mobile World Congress 2018, with the debut on Saturday (24 February) of three new series intended to offer sleek designs and high-end features on a budget. The company’s 1, 3 and 5 series devices all cost less than €300, but come with features including 18:9 ratio display, enhanced cameras and photo options, and the latest Android Oreo operating system with Google Assistant. Phones in both the 1 and 3 series are built with dual main cameras, while the 5 series turns the focus to the user with dual selfie cameras. New photo options include social mode, featuring review and capture panes on a split screen, as well as a four-photo burst and collage modes. Biometric identification also features prominently across all three series. New fingerprint shortcuts let customers directly access their favourite apps with a designated digit, and facial recognition technology allows users to unlock their devices simply by looking at them. 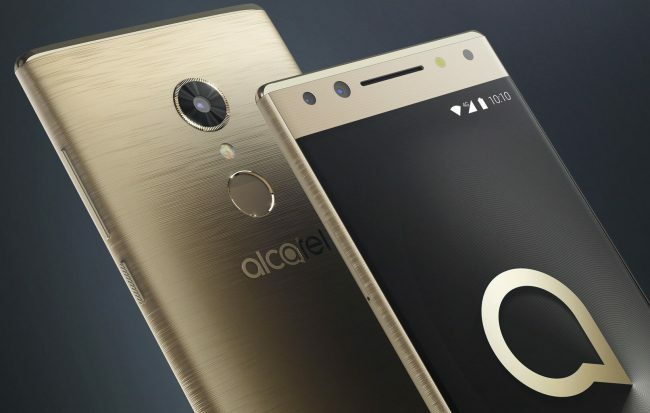 On the exterior, Alcatel retained a plastic body but upgraded with a new unibody design and brushed metallic finishes. Christian Gatti, global president of Alcatel, said the revamped line-up represents Alcatel’s “renewed vision” to deliver the most accessible mobile technology. Gatti added Alcatel is already working with partners to release a 5G smartphone in 2019. The 1 series is available with a single SIM for €99.99 or with a dual-SIM for €109.99. The mid-range 3 series comes in three models: the 3, priced €149.99, 3X (€179.99), and 3V (€189.99). The Alcatel 5 is currently the only model in the top-tier series, and is available for €229.99. The phones are on sale in select markets. Alcatel’s 1 line is the company’s first smartphone running Android Oreo (Go edition), which targets devices with memory constraints and includes optimised Google apps. The company also unveiled two new tablets, comprising 10-inch and 7-inch models, as well as two mobile hotspots, the more powerful of which can support speeds up to 600Mb/s and features built-in power bank capabilities.